The 72-mile aqueduct from Haweswater to Heaton Park reservoir in Manchester was constructed between 1935 & 1955*. 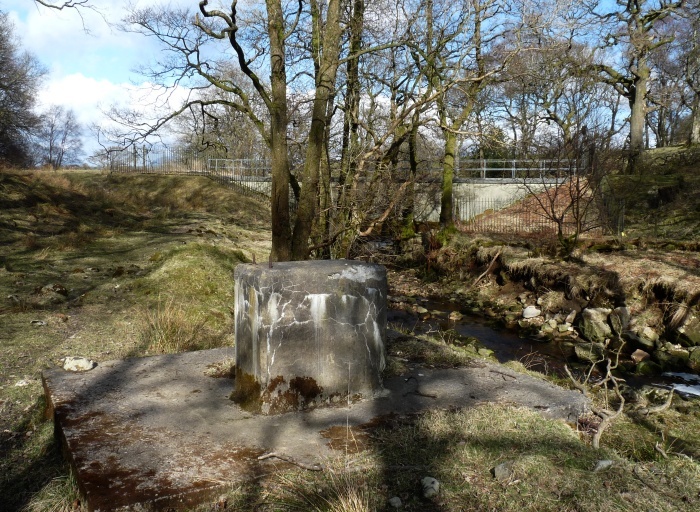 The first 9-mile section, through a tunnel and then down Longsleddale to Watchgate treatment works, north of Kendal, was built concurrently with the dam, and completed in 1941. 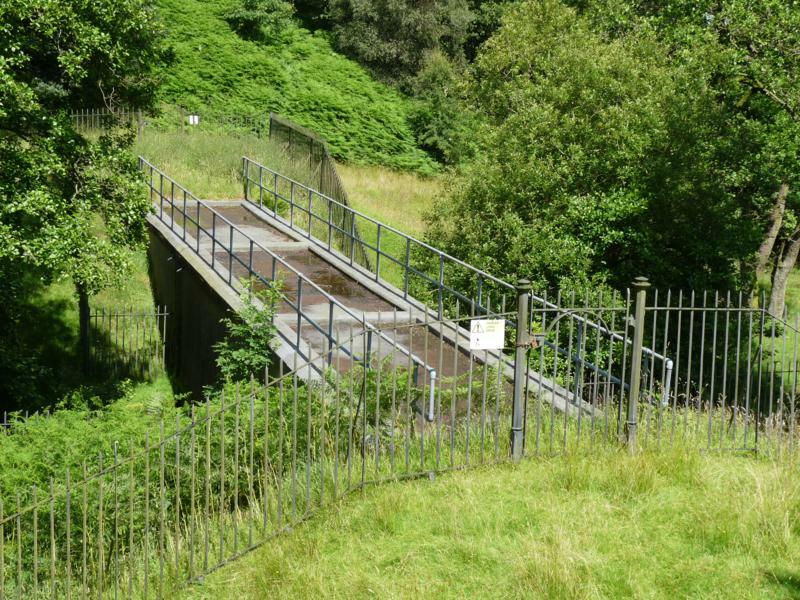 This allowed water to be drawn from the new reservoir and sent from Watchgate through a 1½-mile linking pipeline into the existing Thirlmere aqueduct, and thus to Manchester. * A supplementary 14-mile pipeline from the reservoir dam to Watchgate was built in the 1970s. Use controls top left to zoom in/out; click and hold to drag map. Construction of the rest of the Haweswater aqueduct started in 1948. Its 63 miles include six concrete-lined tunnels of 2.6 metre inside diameter, each with a low southwards gradient, totalling 31 miles of the length. 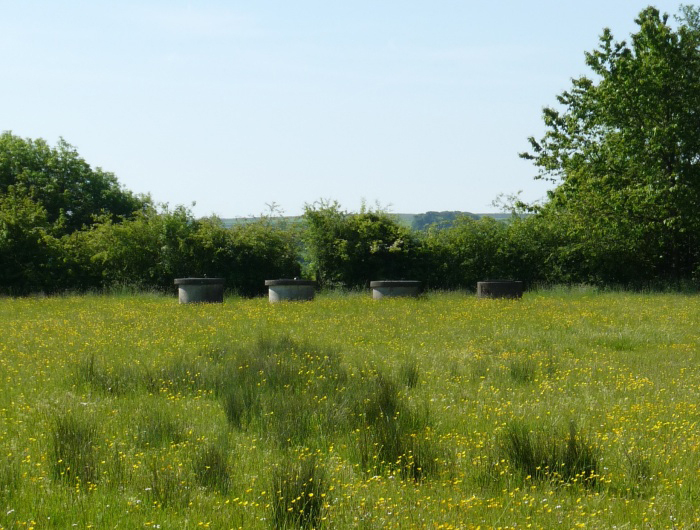 The remaining 32 miles consist mostly of four pipes buried side-by-side (two each of 1.2m and 1.4m diameter) in trenches across undulating countryside. Haweswater is 250m above sea level, Watchgate Treatment Works 200m, and Heaton Park 100m, allowing the water-flow along the whole aqueduct to be gravity-powered (after priming) with water being dragged along uphill sections by "siphon". One of the four-pipe sections runs from a mile north of Old Town in Lunesdale, to Tatham and Botton, crossing the River Lune by a pipe bridge below Kirkby Lonsdale. The pipeline enters Tatham parish by crossing under the River Wenning half a mile east of Wennington. 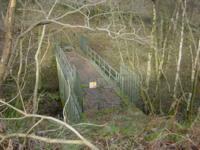 It continues by a pipe bridge over the railway, then past Clintsfield, Perry Moor, and Mashiters, under the Hindburn River (into Botton), up to Birks, then past Lower Houses, where it enters the north end of the Bowland Forest Tunnel. 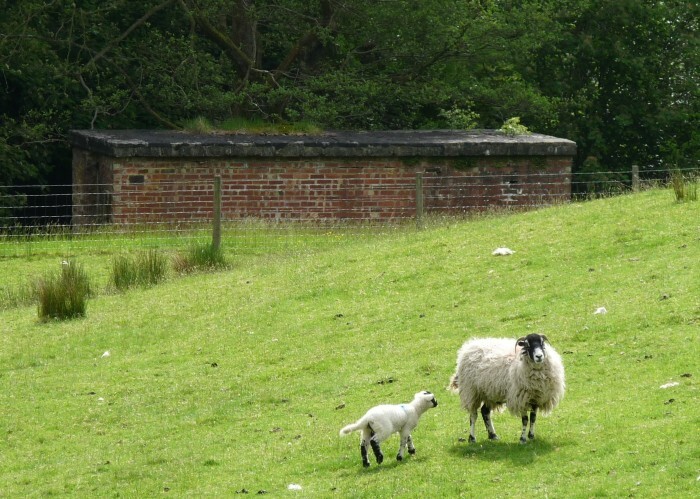 The Bowland Forest Tunnel is the aqueduct's longest, at 10 miles. It runs from Lower Houses to Thrushgill, crosses under the Hindburn again (re-entering the modern Tatham parish), then passes under White Hill (leaving Tatham for the last time) to Croasdale. Here the tunnel turns south, to end half a mile west of Newton-in-Bowland in the Hodder valley. The tunnel has a continuous downhill slope of 1 in 3000, i.e. a drop of only 5 metres over the full length. The tunnel is broken at two points, where Well Beck and Mill Beck are crossed by bridges. These are in the form of a single pipe encased in concrete - essentially a continuation of the tunnel. The tunnel was built by the Cementation Company Ltd., who were contractors for many major waterworks schemes, employing a method invented by Albert François in 1896. 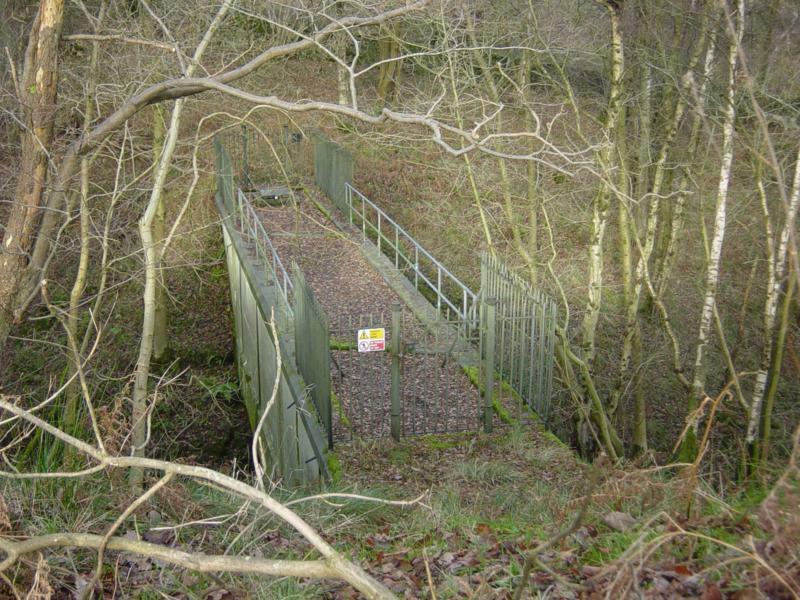 It was driven from access points at Mill Beck and by the Hindburn river, from the bottom of shafts at Croasdale and Ellerbeck, and from the south portal. Driving was completed in November 1951. Below Greenbank, where the tunnel runs under the Hindburn, access was by an inclined adit. A tramway was built into the adit and along the tunnel as it grew, and up and down the valley floor; this was the means by which spoil was removed, to be "lost" by spreading over the fields in the valley bottom below Botton Head farm. 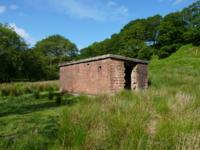 There were several garages and workshops in this area, and a small brick-built explosives store, which survives. Road access to the Hindburn adit was by a realigned track from the Thrushgill road to Botton Bridge over the river, recrossing it to below Greenbank by a temporary bridge (a new farm bridge has since been built). There was a further centre of activity at Mill Beck, where workshops, an explosives store (still standing) and a second surface tramway were built. This tramway carried spoil down the little valley, over the beck (the bridge abutments can be seen) and across the Thrushgill road, to be dumped and spread across the field beyond. The tramway branched just before crossing the road (see map below) with the shorter branch running below what is now a large area of concrete hardstanding used for storing silage bags, but was once a building foundation on which stood workshops for making concrete, which was poured into special wagons waiting on the tramway, and then carried into the tunnel. The Manchester Corporation Act 1919 authorised the Haweswater scheme, but work did not begin until the late 1920s. The scheme caused controversy because of its impact on the landscape, and because it required the flooding of two villages. Construction of the dam started in 1929, but was suspended during the Great Depression. Work restarted in 1935, and was completed in 1940. A village, Burnbanks, was built below the dam to house the workers. Its story has been recorded by the Burnbanks Project. Around 20,000 cubic metres (50,000 tonnes) of rock were excavated - it would fill more than 1500 of today's articulated quarry wagons. Construction used 10,000 cubic metres of concrete (equivalent to over 1500 modern mixer wagon loads). A great deal of groundwater was encountered on the drive south from Hindburn, mainly from fault fissures, needing pumping at a rate of 315,000 litres an hour (Earp, 1955). 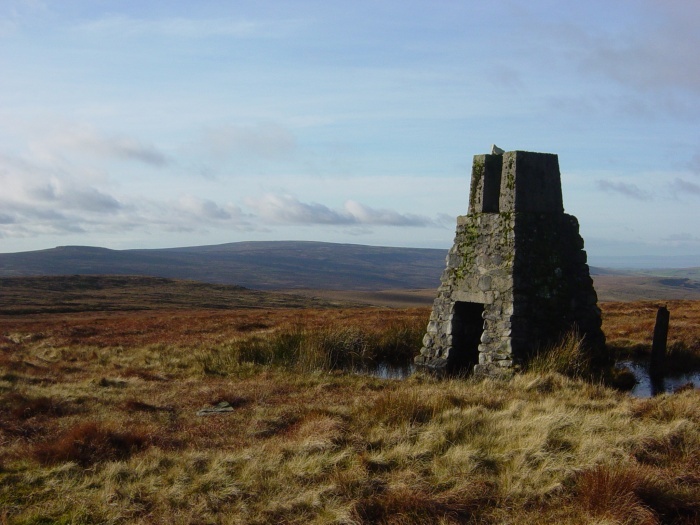 A camp was built below Higher Thrushgill to provide accommodation for some of the workforce of 250 engaged in building the Lancashire end of the tunnel (at that time, the county boundary ran over White Hill summit). Most buildings - including offices, a shop, dormitories and quarters for married men - were built of timber and nothing remains now except small level areas in the field where they once stood. Other buildings were more substantially built, with concrete foundations. These included an electricity generator house (the National Grid did not reach Botton until the late 1950s), canteen and washrooms, but only the brick canteen building is now standing, having been adapted as a byre. 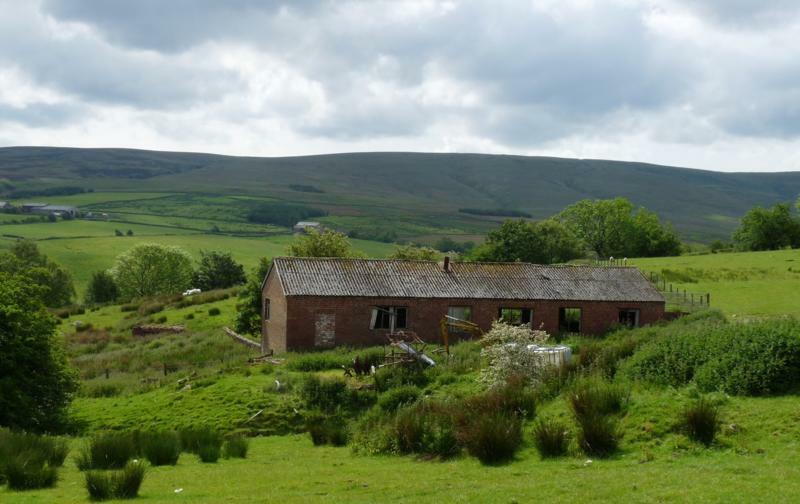 A similar, larger camp was built at Ellerbeck, 1½ miles west of Slaidburn, to house many of the 700 men who worked on the Yorkshire end of the tunnel. The story of Ellerbeck Camp is told in the illustrated booklet: Bowland Forest Tunnel Section of the Haweswater Aqueduct: Ellerbeck Camp, 1947-1954 by Margaret Brenchley, published by Slaidburn Archive. Click here for details and ordering information. Air vents, marked by manhole covers, occur at critical points in the aqueduct to allow release of trapped air. These are easy to spot on the ground - easier still on Google Earth (click the satellite tab on the map at the top of this page, zoom in, and follow the red line). 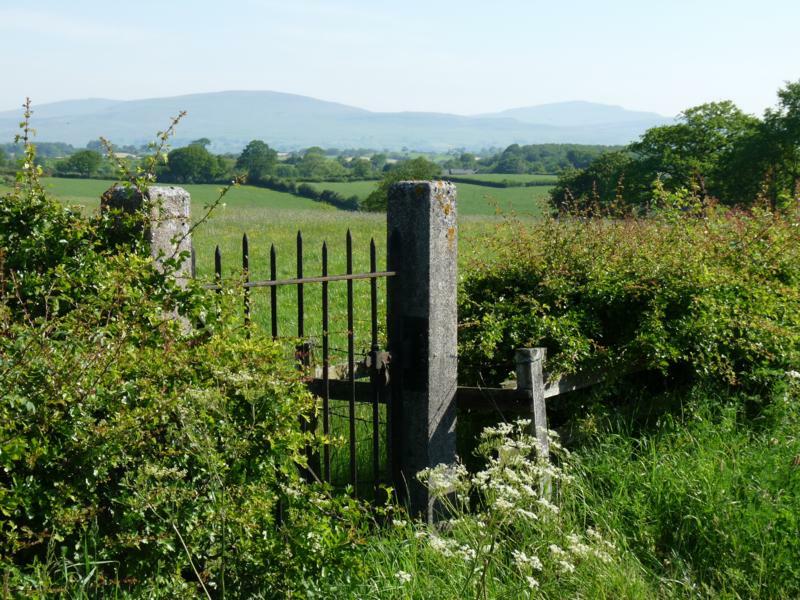 Metal pedestrian access gates through field boundaries mark the line of the pipeline, provided for inspectors who supposedly regularly walked the pipeline before the days of helicopters. Sighting columns, in the shape of three stone towers on the summit area of White Hill, mark the line of the middle leg of the tunnel (lining up with Higher Thrushgill and the Croasdale shaft) and were presumably needed during the survey of the aqueduct route. Most of the surviving surface features mentioned above are on private land, but many of them can be viewed from footpaths or access land; there is for instance a public path through the site of the Hindburn Camp, and a permissive path by Mill Beck. Click here for an OS 1:25,000 map showing paths and access land. 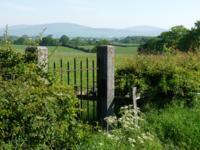 If you wish to explore away from the roads and paths, you should first obtain the permission of the landowners. In 1955, Manchester Corporation produced a film recording the building of the aqueduct, and it has recently been converted to DVD format by United Utilities, who have kindly given the Society a copy, and permission to make further copies. The film's introduction is interesting, but apart from brief references to the Bowland tunnel and to the railway overbridge near Wennington, most of the filming was done nearer the Manchester end. However, the film is well worth seeing. It shows the building of the Haslingden tunnel - very similar to the Bowland tunnel - and brings home what a huge undertaking the whole aqueduct project was. Copies are available for the price of a blank DVD plus P&P. 1 J.R. Earp, "The geology of the Bowland Forest Tunnel, Lancashire". Bull. Geol. Surv. GB. 7 (1955), pp. 1-12. 3 R.W. Rennison, Civil Engineering Heritage (Thomas Telford, 1996), pp. 232-4. 4 The Haweswater Aqueduct, DVD, (Manchester Corporation Waterworks Committee, 1955). A 1949 newspaper article about Lowgill reported: "A mile or two beyond the village an army of workmen are burrowing into the fells ... a rival village has blossomed overnight on the fells – complete with electric lighting, modern plumbing, even a cinema." Jessica Lofthouse, researching her book Lancashire's Fair Face about the same time, wrote: "I had to cross a barren desert of excavated earth, destined to be a tunnel spoil heap; beyond the farm, activity had begun across upland pastures where bulldozers rumbled on brown embankments along the site of the aqueduct." Page created 1-7-2009. Latest update 2-12-2009. Compiled by RW using information and material contributed by MK, MT, MW, RT, RW and United Utilities plc. Photos RW.